Rich is married with 3 adult children and 4 grandchildren. Dan is married with 3 children. He works in the radiology department of a local hospital specializing Magnetic Resonance Imaging (MRI). Adam is married with 1 child. He is a Public Safety Worker. Kevin has been married since 1981 and is the father of 2 adult children. He has been in the banking field since 1981 and is a Vice-President / Business Banker with Huntington National Bank. Kim is married to Terry and they have 4 adult children and 2 granddaughters. She has worked for the Cleveland Clinic for 13 years and H & R Block for 26 years. Terry is married to Kim and they have 4 adult children and 2 granddaughters. He has worked for Shiloh Industries in Valley City for 29 years. Patty is married to Russ and they have 2 adult children. She works as a medical coder for USACS, which is a group of ED and acute care physicians across the country. He is a daytime staff member with Westfield Fire and Rescue Department and Lodi Fire Department. Eric and Karen are married with 2 adult children. He works as a Corporate Estimator and is a Licensed Massage Therapist. Russ is married to Patty and they have 2 adult children. He works for Superior Roll Forming in Valley City. Karen and Eric have been married for 25+ years and have two adult children. She enjoys a career as an Elementary Principal at Cloverleaf Local Schools. Sarah is married and the mom of 3 children and 2 dogs. She works as a daytime staff member at Westfield Fire and Rescue Department. Lauren has a ‘significant other’ and they have adopted a puppy. She works as Referral Coordinator at a general surgery office. Austin is single and the youngest son of 2 young men in his family. He is a Registered Nurse (BSN) in the Emergency Department at MetroHealth Medical Center main campus. He currently works retail while attending school. Rich has been married for 20+ years and has 3 children. He is a 27 year veteran Professional Firefighter / Paramedic for the City of Cleveland. Catherine is married and has 4 children. She is a full time emergency dispatcher. Brandy is married and has 3 young daughters. She is a daytime staff member at Westfield Fire and Rescue Department. Ann is married to Robert and has two young children. 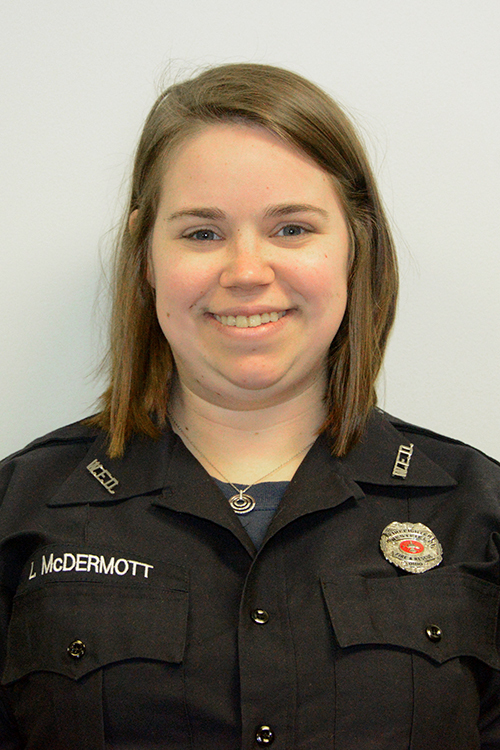 She works as an EMT at Lifecare Medical Services. Robert is married to Ann and they have 2 young children. He has a career as a Paramedic working for Southwest General Hospital in their Emergency Department. Bridgett is married and has 3 children. She works for American Family Insurance and is a nanny part time. Nic is married and has a young daughter. He has a career as an air traffic controller.